CHIROPRACTIC PHILOSOPHY GONE AWRY, INNATE INTELLIGENCE OF BODY - CHIROPRACTIC - DR. FRED BECK, D.C.
Where Has Innate Intelligence Gone? Chiropractic has never been and never will be a religion. Practice management groups and certain splinter Chiropractic organizations would like you to treat and market Chiropractic as a religion. By doing so they increase their psychological and financial control on the unsuspecting Chiropractor. People usually do not question religious leaders. Their ethics and motives are assumed by their followers to be beyond reproach. In a given situation, a religion may ask its followers to let faith be the determining factor even when logic dictates otherwise. When something goes right your faith dictates to thank a higher being. When something goes wrong, either the higher being had a good reason that we as mortals are unaware of or the bad occurrence was out of the higher entities hands! Therefore followers give full credit to a higher being for the good things that occur in their lives, but do not hold this higher being responsible when something occurs that is bad. Followers are usually asked to rely on faith although logic may dictate otherwise. Faith is utilized to replace inconsistencies in logic. Please don’t take me wrong because I am not knocking religion I am just trying to relate some of the psychology that some splinter Chiropractic groups and some practice management groups utilize to convince intelligent people to justify and do things that may be inconsistent with logic and their typical moral behavior. Marketing your practice as a wellness center utilizing religious overtones may actually help you market your practice and attract a larger proportion of the 5% market that will seek Chiropractic services. Unfortunately marketing your program as a pseudo-religion will more than likely alienate a substantial portion of the population that would not usually seek such care (approximately 95% of the population). I was under the impression that the philosophy of Chiropractic dictated that there is an innate intelligence within the body that attempts to keep us in equilibrium and healthy. It was my understanding that subluxations could interfere with our bodies ability to seek this equilibrium and remain healthy. So the idea set forward was to adjust these subluxations in a very precise way to remove any nerve interference so that our bodies could heal themselves. And when I say in a “precise way” I refer to the distinction that Chiropractic makes between manipulation and adjustments. In earlier days Chiropractors took pride in helping their patients get well in the quickest time frame possible. But something occurred over the last twenty years. While the number of practitioners in the field has increased, the proportion of the general population seeking our services has not improved, and has remained at approximately 5%. Health Maintenance Organizations have kept many patients from our offices due to such reasons as visit caps, and the requirement of medical referral on many plans. A lot of plans are difficult or next to impossible for doctors to get onto. Some insurance policies compensate the doctor so poorly that the doctor decides that it is not in their best interests to become or remain a provider on the plan. The Chiropractic profession is in trouble. During the last twenty years we have not attained a higher level of respectability and usage with the general public. We have remained outside the loop. We are a profession that has chosen to isolate ourselves in a corner away from the rest of the healthcare community. We have new Chiropractic graduates with financial debt from school that can total $100,000.00 or more. Being heavily in debt and having a family to feed translates into a practitioner eager to listen to anyone that can teach them how to make a professional living in Chiropractic. Even when the ethics taught may be a bit cloudy. Compound these problems with national organizations that have poor public relations skills and provide inadequate representation for their members; Organizations with tunnel vision and no clear vision or goals established as to where and how we will fit into the healthcare system in the future. Numerous opportunities for the profession to improve practice opportunities become available and are ignored by our trade organizations. We end up with trade organizations whose primary concern is continuing the status quo. Our trade association’s lack of action will eventually destroy the profession. The internal bickering within our profession, which we do so well, will only bring the demise of this profession that much sooner. This scenario provides an ideal climate for some practice management companies and some Chiropractic splinter groups to come in and take advantage of the situation. The major Chiropractic trade associations may not care about the Chiropractic field practitioner, but at least the practice management groups and the splinter organizations know, understand, and sympathize with the field practitioner. On the surface these groups really care. These organizations are out there to make the practitioner a success. Success is based on making more money and not on the quality of care and the effectiveness of care provided. Some organizations teach that it is all right to make claims to the public and state these claims as fact, although these claims are based entirely on philosophy. These claims are based on what should be and could be. These claims in actuality may be entirely correct, but these claims should not be introduced to the public as fact. Especially without any scientific studies to back up such claims. Practice management groups cannot increase the percentage of the population seeking your services, but they can teach you to get your present and future patients to come in religiously. Even though in the past you may have been able correct the subluxation and stabilize the patient in a few visits and hopefully release them, now you are taught that this patient should be coming in 60 or 70 times the first few months for care. Quality of care and clinical results are no longer important. Patients need to be adjusted often because that is what Chiropractic now is. We don’t have to ask the patient if they are getting better. We shouldn’t care if our patients are getting better. Whether symptoms are worsening or getting better is of no concert to us. Chiropractic manipulation is good. Adjusting patients is natural and safe. We know that the more frequently we adjust a patient, the healthier they are and the longer that they will live healthy lives. Pain is only a symptom and we don’t treat symptoms, we treat subluxations. How do we know that we have correctly adjusted and corrected subluxations? We are Chiropractors and that is what we do. Hogwash!!! These organizations utilize faulty circular reasoning to justify the recommendations that they make to the member Chiropractors. They utilize a religious slant on the information disseminated to keep and maintain their followers, while keeping their followers from questioning the ethics or policies they are promoting. These fringe organizations will blast the medical profession for some of the things they do that may seem contrary to common sense. If you give insulin to a patient on a routine basis, the body will eventually stop manufacturing insulin. This is a bad thing. If you give thyroid hormone to a patient on a regular basis their bodies own ability to manufacture the hormone will be compromised. This is a bad thing. If you give over-the-counter medication to reduce a fever you will be interfering with the bodies own defense mechanisms. This is bad. If you over-utilize spinal manipulation to correct nerve interference which interferes with the bodies ability to maintain health and homeostasis because of the resultant spinal subluxations, then you may interfere with your bodies own defense mechanisms and ability to correct and stabilize spinal subluxations…oops! Where am I going with this? We are Chiropractors! We wouldn’t do anything questionable or unethical? Would we? Our main concern is to provide the safest, most effective spinal care possible to treat faulty biomechanics and eliminate subluxations. What we do must be based on valid clinical research. Clinical research will lead to improved treatment outcomes as we learn more about the dynamics of the subluxation. Science and research should be the driving force on determining how we manage spinal dysfunction cases in the office in the future. Improving intra-examiner reliability has a long way to go in this profession, and this lack of reliability can only have a negative impact on the percentage of favorable treatment outcomes. We must leave the religious aspect of this profession behind and strive for science to replace it. Practitioners one and only motivating factor when seeing patients is the goal of providing quality services for their patients to regain or maintain their health. The quest to seek as much financial gain as possible from an individual patient should never be a motivating factor when providing quality care. It is our responsibility to correctly diagnose our patients biomechanically, physically, mentally, orthopedically and neurologically. We must possess diagnostic skills that are as good or better than the competition. We must be the best at hands on diagnostics but must also be the best at utilizing modern diagnostic procedures to monitor the progress of our patients and arrive at an accurate differential diagnosis. We help more than just musculo-skeletal conditions and we must document the many health conditions for which we can successfully provide a positive outcome. This requires clinical diagnostic skills to establish a connection between what we do and a positive outcome on a patient with an internal disorder or dysfunction. In the future, we may be able to predict which disorders are most likely to respond to our treatment. You have had patients that have demonstrated a complete remission of internal symptoms following an adjustment. We must get a better grasp as to which non-musculo-skeletal conditions are most likely to respond to our care. How do we distinguish beforehand the patient with a certain condition that will exhibit remarkable results and the patient with a similar condition that does not respond to our care as hoped or anticipated. As Chiropractors, our main and most effective treatment we provide is the correction of subluxations. It doesn’t matter if you are straight or a mixer; correcting subluxations should be your major concern. Your next concern is that you are providing effective care for your patients. Acute conditions should not typically become chronic. Patients should usually respond to treatment in a fairly short period of time. Am I saying that if the patient does not respond to care in a reasonable period of time they should be dismissed from care or receive medical care instead? Absolutely, not! I am saying that if your patient is not responding to care within a reasonable period of time you may have made a faulty differential diagnosis or may have been incorrect in regards to assessing the status of the patient’s spinal biomechanics. You may consider the possibility of referring that patient to another Chiropractor. Patients should demonstrate a continuous improvement with care until they reach a plateau at Maximum Medical Improvement. We must be careful that our Chiropractic institutions teach Chiropractic techniques that are valid. When a school adds a technique to their curriculum, we must be sure that the technique is being taught because of the quality and validity of the technique rather than because of possible financial reward to the school. If an alumnus has donated many dollars to a Chiropractic institution, that is not the criteria that should be used as proof of a validity of a technique that will be taught at the Chiropractic institution. While I am not claiming that this is actually occurring at our institutions, I am advocating that quality and validity of a technique should be the only motivating factors when deciding to add a technique to a curriculum. As a physician we have a responsibility to the patient to utilize all the knowledge available to help the patient preserve and/or regain their health. We should never under any circumstances take advantage of a patient emotionally, physically or financially. A proper diagnosis is essential. 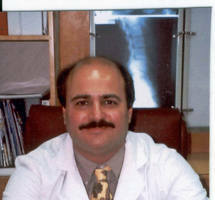 Especially essential is a proper diagnosis in regards to the patient’s spinal biomechanical status. We must properly diagnose a patient to help us obtain optimal clinical results. We must utilize safe, proven methods to obtain optimal results in the shortest period of time. The Chiropractic profession should never make claims that they can’t substantiate. An example of this would be claiming that continuous Chiropractic care will result in a longer, healthier life. Maybe research in the future will demonstrate this, but for now there is no scientific studies to back up such a claim. I’m sure that you have had patients that were experiencing infertility problems. Quite frequently, this problem is quickly eradicated with Chiropractic care. The next day, was your waiting room full of patients with fertility problems seeking care? I sincerely doubt it. When that asthmatic patient entered your office and their condition was quickly and permanently eliminated, was your waiting room full of asthmatic patients seeking care the next day? That didn’t happen either. When you adjusted that patient and his hearing returned, and the event was even confirmed by the local audiologist, was your waiting room full of patients experiencing hearing difficulties the next day? I’m sure that your success with these disorders and many others had a negligible effect on your practice. Your patient may have tried to refer a friend or two that had similar health problems but they probably never showed up at your door. Chances are that the patient went back to their primary doctor and to their specialist and reported the positive results of your treatment to them. Did their doctors ever contact you to ask about the treatment? Most likely not. After hearing about your miraculous results did these allopathic doctors refer similar patients to you? That never happened, did it? Not in this world. We are so isolated, and so far outside the healthcare system, that this profession lacks credibility, even when we obtain consistent results with certain conditions. I’ve stated before that it is our responsibility to determining a proper medical diagnosis as well as a proper Chiropractic diagnosis. Lets face it people, our strategy of isolating ourselves from the other healthcare providers and increasing public awareness of our profession is not working. We are not expanding our patient base and very possibly slowly losing the miniscule percentage of population that seek our care. Keeping ourselves isolated from the rest of the healthcare community is just plain stupid and suicidal. Our isolation has prevented us from receiving huge amounts of research dollars we could be receiving. We have lost hundreds of millions, if not billions of dollars by allowing ourselves to be locked out of the health system and the United States hospital system. If we were part of the American healthcare system, we would easily be getting a vast number of referrals from the allopathic profession. It seems only fair when you consider the vast number of referrals we send in their direction while the medical profession rarely refers in our direction. I believe that we can position ourselves so that we will receive referrals from allopathic practitioners that will far outnumber the referrals that they are now making to physical therapists. And all this without giving up our identities or our practice rights as physicians. I’ve mentioned in prior articles that we may have very easily obtained hospital privileges in almost every U.S. hospital. A Chiropractic department in each and every hospital in the United States should be mandatory for hospital accreditation. The Joint Commission on Accreditation was willing to meet with the ACA to discuss this proposal by me, but the ACA was not interested. The positive press of having Chiropractors in our nations hospitals would have increased the number of patients seeking our services tremendously. We would not have had to give up any of our practice rights and would have practiced according to the scope of practice laws in our state. This would have ended our isolation from the rest of the healthcare community. This would have resulted in a very positive public awareness of our profession. Thousands of professional workplace opportunities for Chiropractors across the country would have been a consequence of such action. Our leadership for some reason believes that twenty something job opportunities for Chiropractors at Veterans Hospitals, with limited privileges, and care provided under script of a Medical doctor is the only way to go. I hate to say this, but I believe that our trade organization leadership has a very low regard for the professionalism, ethics, diagnostic skills, and clinical effectiveness of the average Chiropractic practitioner. Unfortunately, these leaders are thinking the same thoughts as many of the 95% of the community that never seek the services of a Chiropractor. As crazy as it may seem, I believe our own leadership has such a low regard for the average Chiropractor that they believe they are protecting the American public from us. Maybe a crazy thought, but then again, I’ve run into brick walls when handing potential practice opportunities to our leaders on silver platters. Hospital privileges, new professional sport opportunities, Social Security Disability Examination opportunities, all of no interest to our Chiropractic leaders. All handed over on a silver platter to the organizations that represent us. Each and every opportunity handed over at the end stage, where a minimal amount of time, financial support, and effort would be necessary to close the deal. All opportunities allowing us to practice within the full scope of our present State laws, and never under medical supervision. We must remember that even some of our professions own representatives may just be doing their jobs. They may never have been to a Chiropractor. Their immediate family and friends may never have been helped by a Chiropractor. Even worse, they may have had a negative experience with a Chiropractor. They may do a terrific job trying to keep the status quo. But down deep they may be so medically oriented and medically indoctrinated themselves that they themselves feel this profession lacks credibility. As many other outsiders, they may lack trust and question the integrity of the Chiropractic profession. Down deep they may believe that an expansion of practice opportunities may be a bit too much. Expanding practice opportunities will result in us seeing a greater proportion of the population. Some leadership that may doubt the integrity, safety and clinical effectiveness of the Chiropractic profession, may attempt to do the minimum work necessary to keep the status quo and avoid any opportunities that would expand the role of Chiropractic in the American healthcare system. We must clean house. We cannot continue to allow the small but vocal portion of profession that preaches ignorance is bliss to steer this profession toward oblivion. Unscrupulous practice building techniques needs to be addressed. Our leadership needs to be held accountable. The profession needs to strive to be the best that they can be. We should be concentrating on techniques to help more patients with their health, not on techniques solely designed to procure more money out of a patient’s wallet. We must hold our leadership accountable. If they refuse to follow through on improving practice opportunities, and are interested in only keeping the status quo, we need to find new leaders. If our leadership is willing to have us give up practice right and allow an allopathic physicians to act as gatekeepers for our profession, we must find new leaders. If our leadership appears to sabotage negotiations on practice opportunities on a routine basis, we must find new leaders. We’ve always been quick to blame the allopath as the enemy. We blame them for holding the Chiropractic profession back from obtaining our rightful place in the U.S. healthcare system. Maybe they are not as much the enemy as the enemy within. Our research must obtain a much higher level of intra-examiner reliability. Our institutions must do a better job of researching and integrating techniques into a workable treatment model. Research must be conducted to determine the effectiveness of Chiropractic care with various non-musculo-skeletal conditions. In addition, research should help us determine in advance, which patients with a named health condition are most likely to respond to care. We must put claim to our rightful place in the American healthcare system. We no longer can stand on the outside looking in. No matter how bad the American healthcare system is, it is not going to collapse anytime soon. If you really believe that you are going to wake up one morning to find that the allopathic healthcare system has collapsed, you are sadly delusional. If you believe in addition that once the allopathic healthcare system collapses all those patients are going to flock to your doors, you really indeed are living in a fantasy world! When you know what you are doing as a Chiropractor you can achieve long lasting, very good to excellent clinical outcomes, on the vast majority of your patients with neuro-musculo-skeletal conditions. Treatment results should be quick and effectively. If this is not the case, you must improve your knowledge and your skills. If you keep good clinical records you are aware that many internal conditions also respond well to the care that we provide. If you are of the mindset that Chiropractic care is only effective for some musculo-skeletal conditions, then your record keeping may be deficient. If your care is not having an effect on substantial number of internal disorders than you probably are also not achieving a positive outcome on many of your musculo-skeletal patients. When we help a patient we must scientifically document it. We should not rely on the allopathic profession to document our clinical results. That is something we must do ourselves. You’ve heard me state that we need to make a medical diagnosis in addition to a Chiropractic diagnosis. Why do we need to make a proper medical diagnosis? First of all our institutions taught us how to make a proper medical diagnosis. It is crazy to pass the buck and expect an M.D. or D.O. to make a medical diagnosis that you yourself should be making. If you believe that the average allopathic physician is making a better medical diagnosis than you are, you really have been practicing in isolation. When indicated we must perform imaging studies, laboratory testing and other proven, accepted diagnostic testing modalities necessary to arrive at an accurate differential diagnosis. To document a patient’s response to care, clinical testing is also necessary. It is ludicrous to rely on an allopathic physician to arrive at a correct differential medical diagnosis, when you’ve spent about as much time in class learning differential diagnosis as he has. Granted, he may have had more clinical experience than you considering he is seeing close to 100% of the population and you are seeing only 5% or so. He also may have more experience seeing patients in the hospital where you’ve been locked out of as a Chiropractor. But you know what? You have textbooks. You can always open a book and refresh your memory on a condition. This may actually give you the advantage over the allopath at arriving at a correct diagnosis considering you are willing to do some research and he may rely entirely on his memory. If I have my way, hospital privileges will be available to all Chiropractors in the near future. Hopefully our own trade organizations do not try to sell us out and prevent this from happening. There should be some oversight in regards to hospital privileges to assure us that our leaders do not unfairly negotiate restricted privileges, which keeps us from practicing within the full scope of State practice laws. An allopathic referral should not be necessary to receive Chiropractic care. We should take responsibility of documenting our clinical results ourselves and not expect someone from another branch of healthcare to do this for us. We must end our isolationism, and stake claim to our rightful place in the American healthcare system. My new column may upset many Chiropractors. Our profession is driving blindly without a roadmap. We appear to be clueless as to which direction to choose.Without knowing where we are supposed to head to will guarantee we never get there. Eventually we will run out of gas and our journey will end. I hope that the ideas presented in my articles will eventually result in positive change within the Chiropractic profession. A prevailing theme that you will notice is that we are our own worst enemy. Quite a lot of time and resources have been expended to fight among ourselves. Our time and resources should be utilized to draw a detailed map; choosing a destination; and then map out the best route to get there. We need to know where we are going before we can get there. Our profession is presently lost. I’m hoping that this column helps our leadership find its way. We must stop our internal bickering and make it our goal to become the number one natural healthcare profession in the world. You should not be calling yourself number one when you are only seeing a minuscule 5% percentage of the population. We should and could be the doctors that a very large segment of the general population decides to go to as their primary doctor. I will give you a roadmap and solutions to becoming a major player in the healthcare market. None of the recommendations that I have made require a change to the Chiropractic scope of practice laws. By the time I am done, I hope my efforts will result in our leadership becoming more responsive to the doctors that they purport to represent. We will discuss how poor leadership has resulted in many missed opportunities to expand practice opportunities. All hospitals in the United States should have Chiropractors on staff and I will present documentation demonstrating that this could already be a reality if we had stronger leadership. Chiropractors should be routinely performing Social Security Disability Examinations and I will present documentation that this is not the case due to poor leadership. Missed opportunities to expand our involvement in sports will also be discussed. The ulterior motives of practice management firms and Chiropractic organizations that attempt to transform the profession into a pseudo-religion will be discussed, as well as the negative impact these organizations have had on the general populations perception of Chiropractic. On the positive side we will discuss the need for a unified profession and a national association responsive to the present needs of the field practitioner and the future of the profession. The survival of Chiropractic requires that we get our act together immediately or there may not be a future for this profession. I will discuss our educational institutions failure to adequately research many of the Chiropractic techniques to determine which work and which do not. We need to determine which theories of determining the location and spatial orientation of subluxations actually hold water. The Chiropractic profession needs to finally integrate the most effective components of Chiropractic techniques by way of research and the scientific method. Only then will there be some consistency of clinical results among field practitioners. This will result in a profession that can rely on the “science of chiropractic” more so than the “art of chiropractic” to achieve better and more consistent clinical outcomes. Finally, I will discuss the dynamics of the subluxation complex. I will present my own theories on how to determine and correct spinal subluxations. I will integrate many of the present chiropractic theories and techniques into a universal model. This will help the field practitioner choose from a vast array of chiropractic techniques to accomplish the same goal. Utilizing an integrated model can help achieve conformity among physicians when determining an effective treatment strategy to correctly determine the spatial orientation of a subluxation and its correction. The majority of past and present thought on the subluxation complex do not hypothetically allow for a unified theory. Chiropractic theory usually assumes a randomness of subluxation and then attempts to determine the correction of such subluxations by way of different signs, symptoms, indicators, mathematics, imaging techniques etc. I will present my own theoretical model of the subluxation complex, developed over the years utilizing the scientific method. It is my opinion that subluxations are predictable and do not occur randomly. I believe that we can have close to 100% agreement among field practitioners as to determining the abnormal position of the subluxated segment(s), while still allowing the field practitioner a multitude of techniques and treatment strategies to achieve such correction. Utilizing my theoretical model of the subluxation complex should achieve quick, very good to excellent clinical results in a vast majority of your patients. The typical patients should see dramatic improvement within the first few visits. My system should significantly help prevent the patient with acute symptoms from becoming chronic. A unified adjustment model will help achieve effective stabilized spinal mechanics. My theoretical model should also help eliminate negative outcomes due to manipulating vertebrae in the wrong direction. I will discuss my theory that even an adjustment in the wrong direction can give temporary relief of symptoms, but that such treatment can eventually result in the condition becoming chronic. Treatment plans should provide for manipulative treatment that is consistent from visit to visit. Patients should demonstrate consistent improvement over the entire course of treatment. You correct the subluxation, stabilize the spine, and the patient in most cases will not need additional care for the same complaint since symptoms have been eliminated or at least stabilized at maximum medical improvement. Care based on my subluxation model will result in better, more consistent outcomes. But it will also result in fewer patient visits, which is contrary to the teachings of many practice management firms. Some progressive, debilitating, chronic, neuro-muscular conditions may require ongoing care to maintain optimal results. I hope that my biomechanical model will help establish a starting point for future research. I look forward to correspondence from other Chiropractors in the field who have come to the same conclusion that subluxations do not occur randomly and are therefore predictable. If you have data that disagrees with my findings, or data to add to my findings I would love to hear from you. There is always room for improvement. Research on the dynamics of the subluxation should never become stagnant. as yours will be able to attract Chiropractors of the straight philosophy? care will lose its identity such as what happened to the Osteopathic profession. every chiropractor is to adjust subluxations to remove nerve interference. is something our organization would always protect. Q - So I am a straight Chiropractor. Why would I be interested in the U.S.
a hard line on a subject yet keep negotiations friendly and professional. agree to anything short of direct access. overtone that may alienate those not familiar with the Chiropractic profession. on an equal basis as other health care provider classes. We believe that we are presently not being everything that we can be. likely to respond to Chiropractic manipulative therapy/adjustments. Chiropractor in regards to a condition that has more than a subluxation component. one of your colleagues, to also handle that case nutritionally. as a gimmick or money making scheme to defraud the public. do for me and my patients? primary goal of the Chiropractor regardless if you are straight or a mixer. scope of practice. Our goal is to gain our rightful place in the health system. a chance to help you. Q - I'm a mixer. What do you have to offer mixers? of practice in regards to Chiropractic. It is not our goal to expand the profession into prescription pharmaceuticals. within the existing scope of practice laws. "piss off" the middle of the roaders. Actually the "middle of the roaders"
importance of adjusting patients to regain or maintain their health. Please note that we are only asking for your support right now. the correspondence. Please inform others about this website.